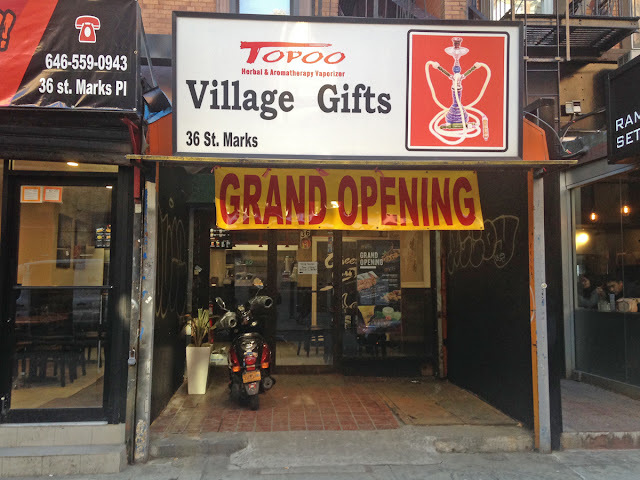 Back in July of 2017, this space that was once the beloved Village Gifts (below) was occupied by crusties and a guitar top! I didn't feel like ducking beneath the Grand Opening banner to see what the place was called, or what kind of food they served, but I can tell you this: they have a moped for speedy deliveries! and the moped has moped handlebar gloves!